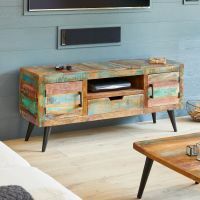 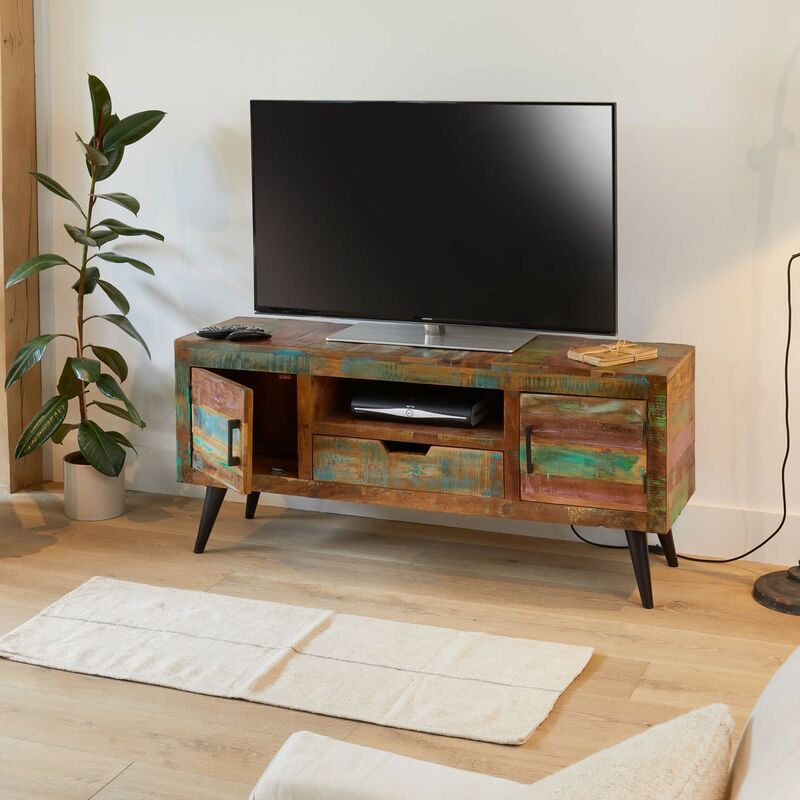 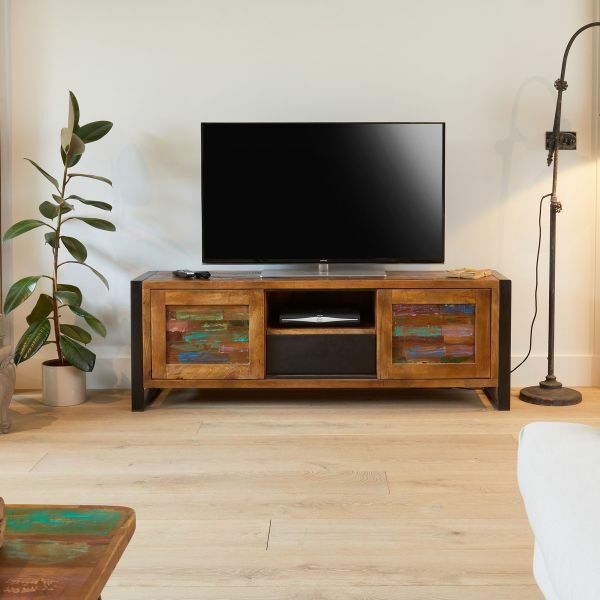 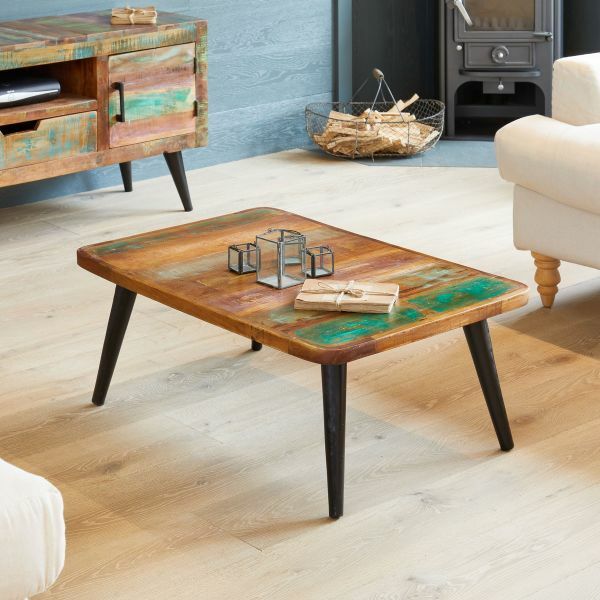 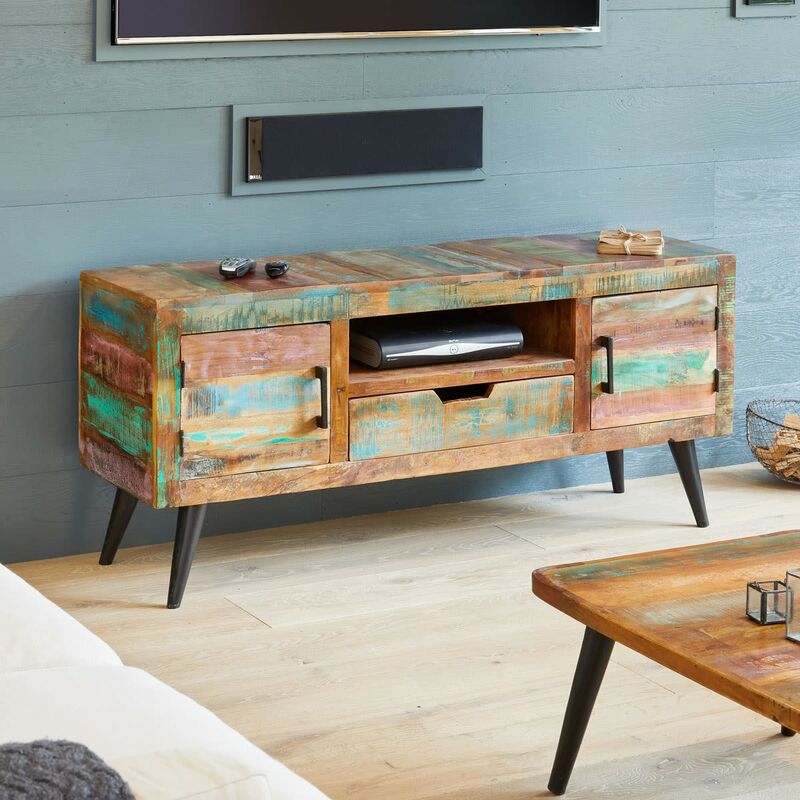 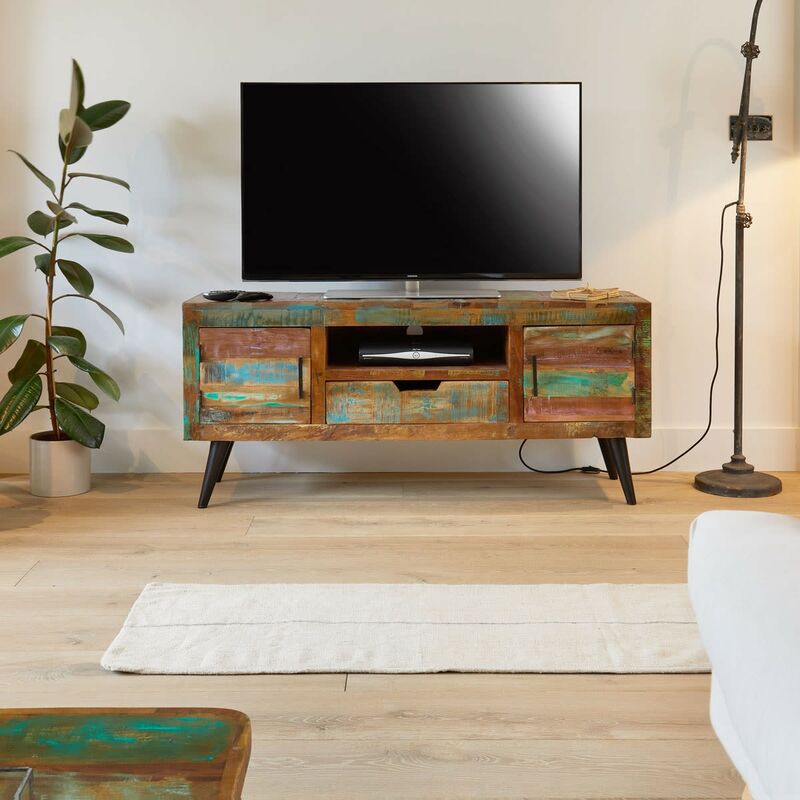 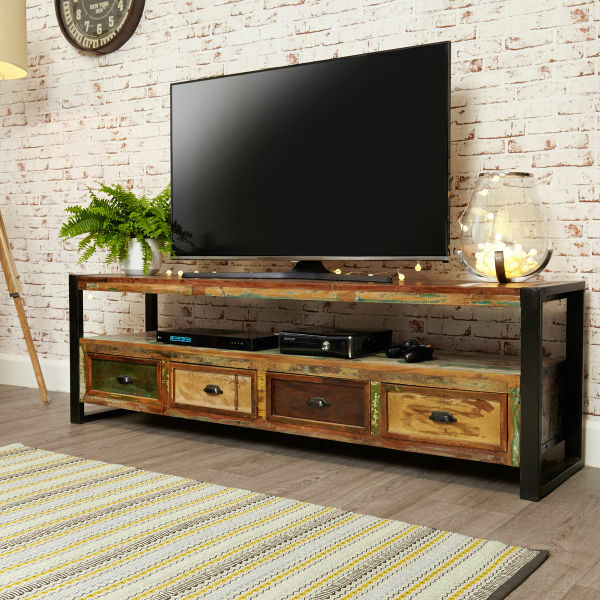 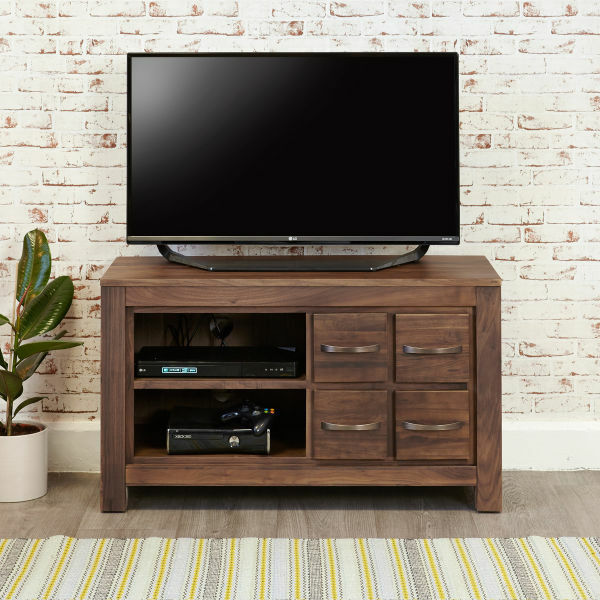 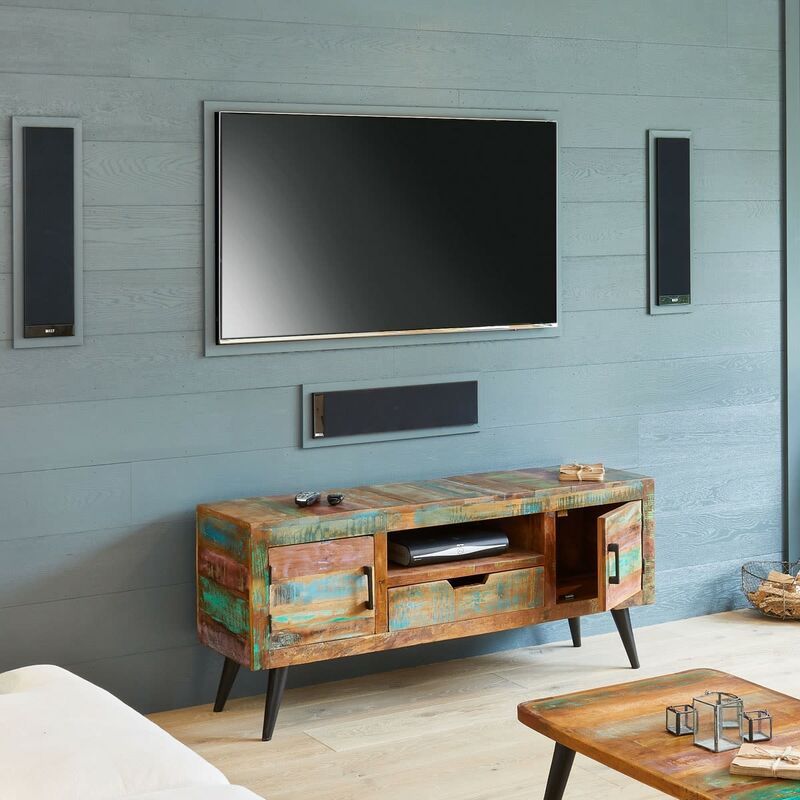 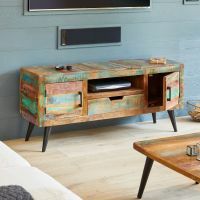 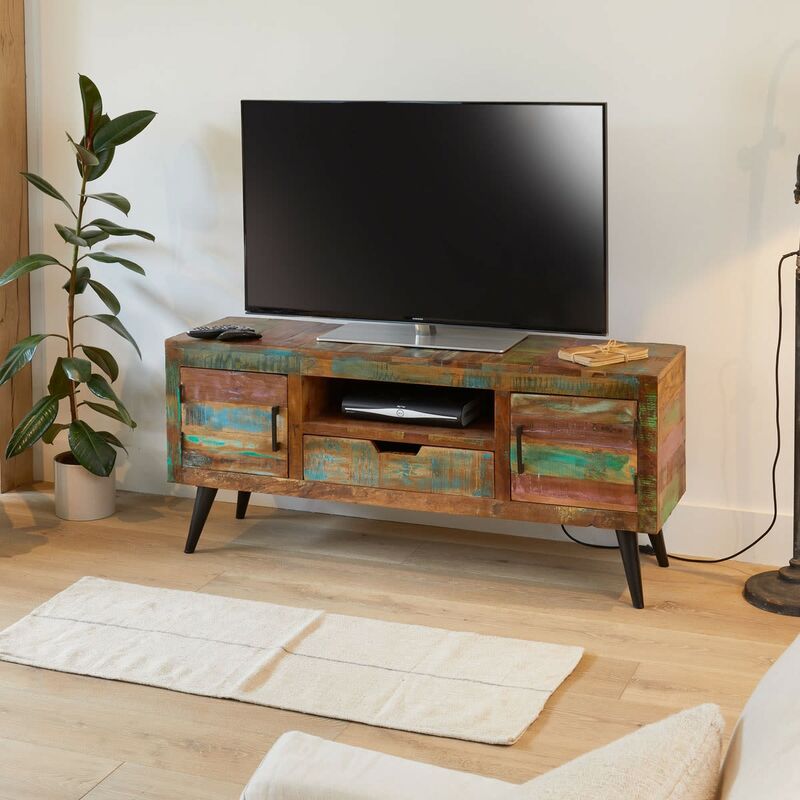 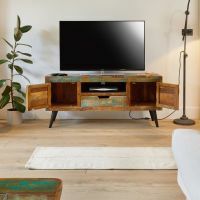 The Coastal Chic TV cabinet is crafted from recycled wood sourced from Southern India and designed for a TV 70 inches wide. 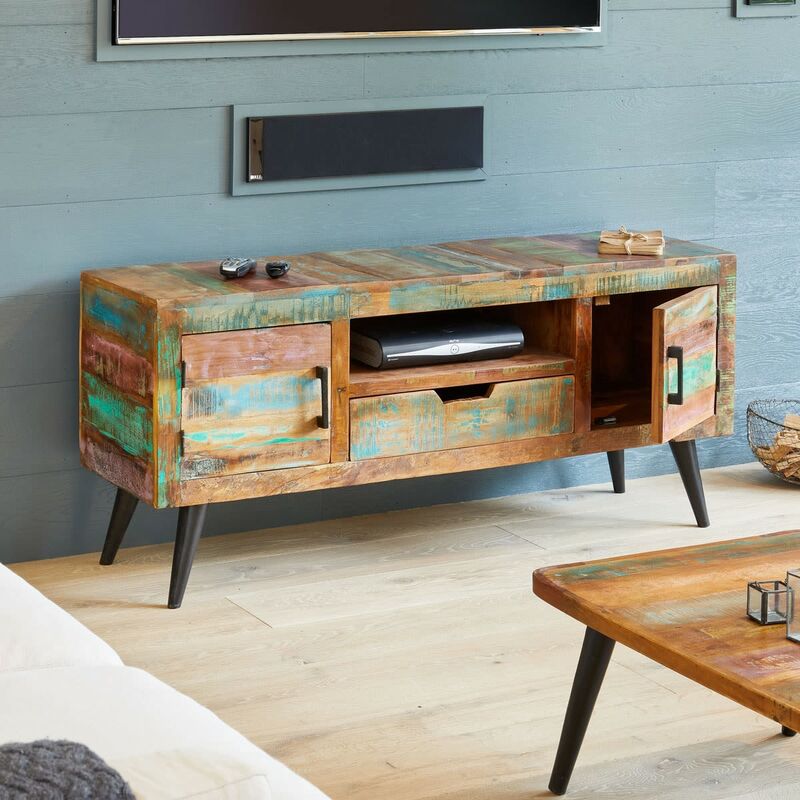 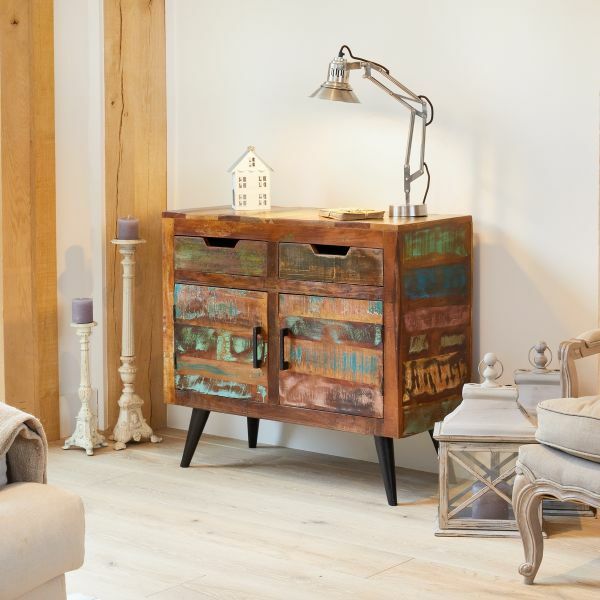 Filled with character, the range incorporates reclaimed wood with welded cast iron to add industrial edge to its rustic design. 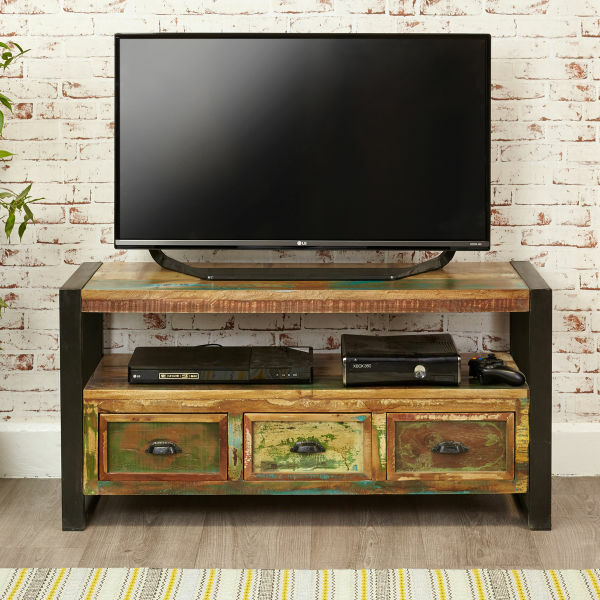 There is plenty of practical storage in the TV cabinet with a shelf, a drawer and two cupboards which are finished with metal handles. This TV cabinet will be a talking point in any room in living room and is completely unique and individual.